"Secret spot" - Waterholes Canyon - Go on adventures! 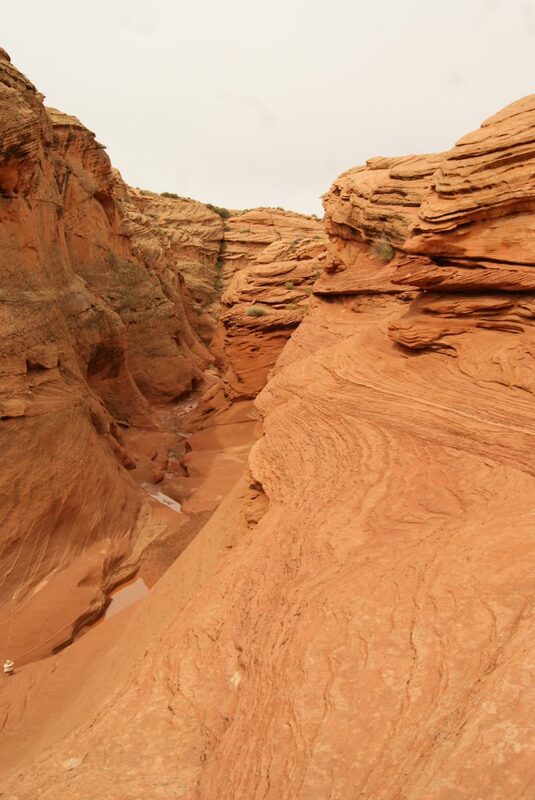 The Waterhoels Canyon is located a few minutes drive south of Page, Arizona. 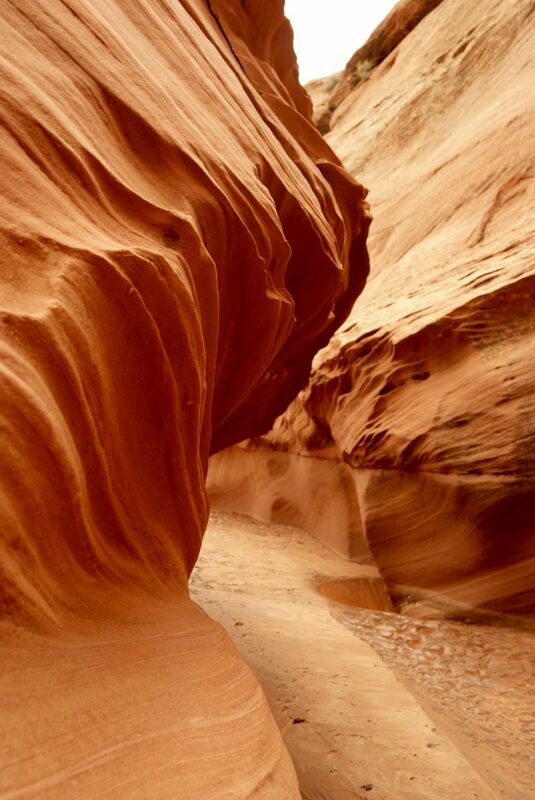 It is a beautiful canyon and it is far away from being crowded like the Antelope Canyon! Can I just go there and hike? 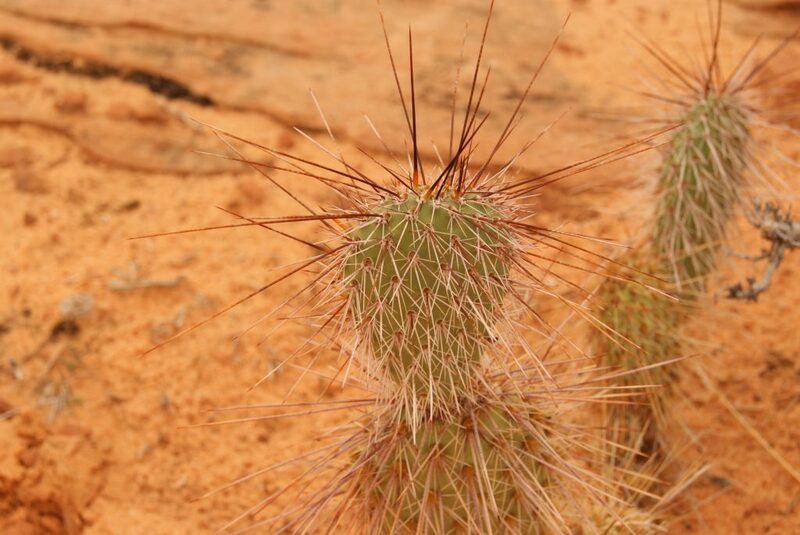 No – You need to obtain a permit before going there because it is on navajo country – it costs 8 $ per person for a day. 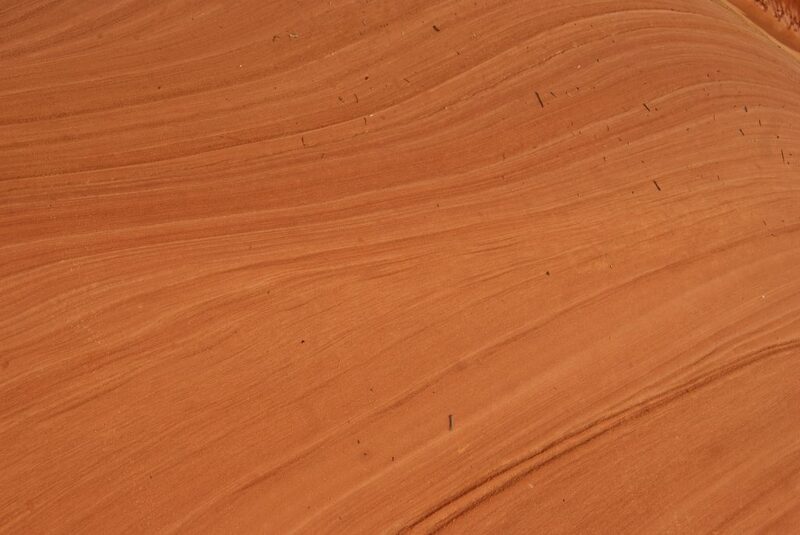 You can get the permit at the entrance to the UPPER Antelope Canyon – they will also tell you directions on how to drive to the Waterholes Canyon and where to park your car. 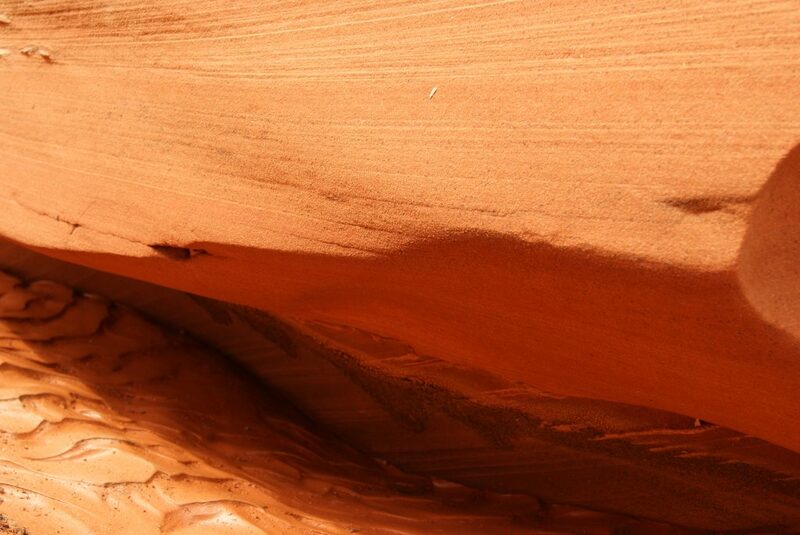 We actually did only meet one couple while walking around the Waterholes Canyon. Because it had been raining a few days before, we actually saw some waterholes. So cool! The Canyon is changing the further you go – it is really interesting to see all those different formations in the stones. This canyon seems to be an absolute secret. As I said there are like no people at all! And it is absolutely beautiful. If you want to experience different sandstone formations and enjoy the orange colours of the sandstones – this is the place to go to! Amazing! I dream of one day going on a proper trip through the US. So far I have been very lucky to visit some cities (and that was amazing, too), but next time it should be about nature. I long to see this orange colour in real life. Roadtrip: Phoenix - Grand Canyon - Page - Sedona - Phoenix - Go on adventures!